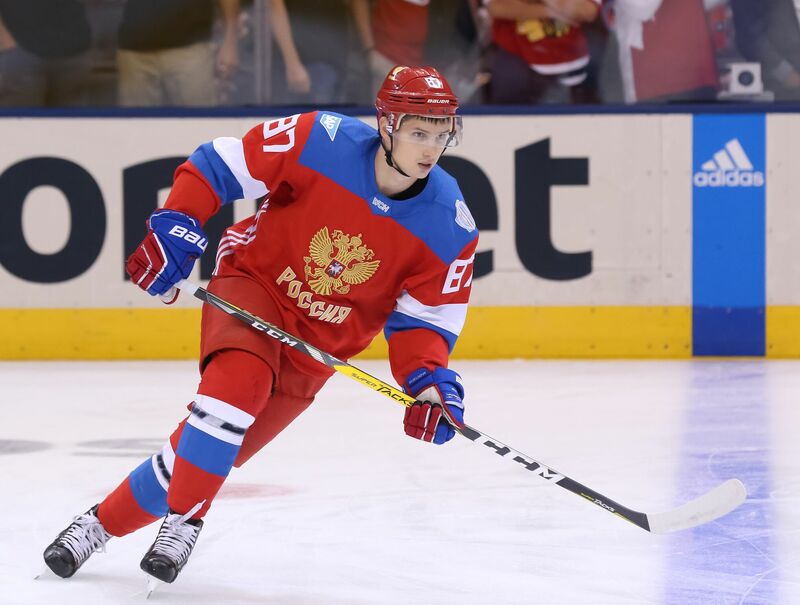 Reid Duke, you’ve got company, and it’s in the form of a SKA St. Petersburg’s Vadim Shipachyov. The 30 year old forward was signed to a two year deal worth $4.5M per year. Shipachyov (pronounced SHIP-ah-shoff) is 6’1″ 190 pounds and tallied 76 points in 50 games, including 26 goals. Shipachyov has been in the KHL since 2011 and his team has reached the playoffs in each of his seven seasons. His production did not drop in postseason play in Russia at all. In fact, in 107 playoff games, he scored 33 goals and had 97 points. According to Eric Engles, the Montreal Canadiens were interested in Shipachyov last season, but a clause in his contract kept him in the KHL. This is the first major contract the Golden Knights have handed out, and they clearly expect him to be on the ice at T-Mobile in October. For reference, other players making $4.5M per year include T.J. Oshie, Mats Zuccarello, Adam Henrique, Nick Leddy, and Antti Niemi. EliteProspects.com’s breakdown of Shipachyov say he “isn’t overly efficient in physical battles,” not exactly what coach Gerard Gallant is looking for. He does however fit the McPhee build of a fast and highly skilled player who can score. I am really excited about this acquisition. It says that McPhee is competing with top teams to get strong talent year one, and that we are not only competing, but we can win. Ship (are we just going to call him Ship?) played with and has been compared favorably to Artemi Panarin. If that’s the level of talent we are bringing in for our biggest signing yet I am quite pleased. By the way Ship was the Assistant Captain in St Petersburg this season. The other Assistant was Ilya Kovlchuk and the Captian was Pavel Datsyuk. This guy can play. He sound a pretty good so why has he never played in the NHL? Still learning NHL salary cap so is 4.5 million a good deal or high but it’s ok because of the length of contract? Is this a type of guy that would also be a good mentor for younger players? This is a very good risk/reward ratio. Watching the Golden Knights could be far more entertaining with this signing. The length of contracts cause teams cap issues down the road. Most players tend to get worse with age. The league is getting younger and faster. It’s similar to the top professional basketball division of the Spanish basketball league system, there are pretty good players who have never played in the NBA. Money and playing time on the top line & power play are factors. The idea of being buried on the depth chart in North America isn’t very appealing. Most would rather play a prominent role outside North America. It’s going to be interesting to see how Shipachyov adapts to the physicality of the NHL. Yes! Someone said biscuit in the basket! This site has officially turned a corner, and I’m pumped.